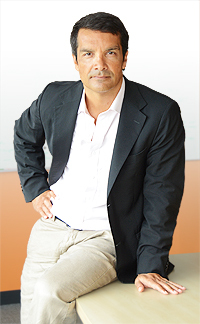 Ruben Toral, an American healthcare marketing expert and medical tourism pioneer. Medeguy.com is the blog site of Ruben Toral, an American healthcare marketing expert and medical tourism pioneer. Medeguy investigates, explores and discusses how globalization, consumerism and the internet are transforming healthcare from a locally delivered to a globally delivered service. What’s the story behind Medeguy? Why did you choose that moniker for yourself? Actually, it chose me. In 2009 when we were developing Medeguide, we had a Spanish guy, Nacho, working with us and he thought the name of the company was Medeguy, not Medeguide. I laughed when I heard this, but then thought, “Hey, that’s not half bad.” So Medeguy was born, and I have Nacho to thank for that, among other things. What are you using Medeguy for? A couple of things. One, I have aspirations/delusions about writing a book one day on healthcare globalization, and this blog is a great way to help me develop and organize thoughts for that project. Two, I am an entrepreneur, a consultant, a former hospital marketing executive and an expat so I see a side of healthcare that is distinctly different from most others. I like sharing stories about places I go and people I meet. What are your core views when it comes to healthcare? Healthcare is global; not local. Aging, chronic disease and urbanization are transforming healthcare. Care delivery systems are breaking down worldwide, and people are sick of waiting for quality, affordable and accessible healthcare. Individuals, not companies or insurers, should be responsible for managing their health. Better information, not more data, with make people smarter healthcare consumers. When you pay for products and services out of your own pocket, you become a more discerning consumer. Healthcare is no exception. Consumers should be encouraged to look for best care, anywhere. Globalizing healthcare will improve transparency and efficiency. Healthcare providers should embrace and develop global networks, because iits good medicine and good business. How did the idea of Medeguide come about? From 2001-2007, I was the marketing director at Bumrungrad International and responsible for the hospital’s international patient and business development. I met a LOT of international patients over the years and I always asked them, “How did you pick your doctor?” In the case of Bumrungrad it was easy because the hospital has an excellent website and doctor finder, but I can’t say the same about most other hospitals. To me, this is the weak link in the system. Bottom line is that I believe people are looking for the doctor — the person — not the building. I mean, you always hear people say, “Can you recommend a doctor?” not “Can you recommend a hospital?” The idea behind Medeguide was simply to give people an easier way to search for qualified doctors by going to ONE site not many. What are some of your hopes and dreams for Medeguide? How does your experience in the medical industry benefit Medeguide? For the past 17 years, I’ve worked with doctors and leading international hospitals, and along the way have met and helped thousands of patients. I have taken those experiences and insights and tried to incorporate them into the Medeguide site as best I can. Does being an expatriate have an impact on how you see things? It really does. I have been living overseas for 17 years, and it gives you a completely different view of the world because you are always on the outside looking in. Expats all over the world have the same basic concerns, and healthcare is at the top of that list. I get emails everyday from expats looking for Dr. Right. What keeps you motivated and driven? Change. It’s like a roller coaster. Exciting, fun, scary and a little nauseating. I believe that healthcare is undergoing a radical transformation fueled by three things: the internet, consumerism and globalization. More than ever before, people are using the internet to shop globally for healthcare options that didn’t exist 10 years ago. Watching this elephant dance is interesting…and a little dangerous. Who or what inspired you to work in the healthcare industry? I stumbled into healthcare by accident. I met Dr. Bill Jordan, a urologist from North Carolina, in Bangkok during a UNC alumni function. Dr. Jordan had just sold his healthcare business in the US and wanted to start a similar business in Asia. We, along with two other partners, established the first mobile lithotripsy business in Asia and that took me to Mexico, where I lived for two years. I returned to Bangkok in 2001 to start working for Bumrungrad International and that started a completely new chapter in my life.